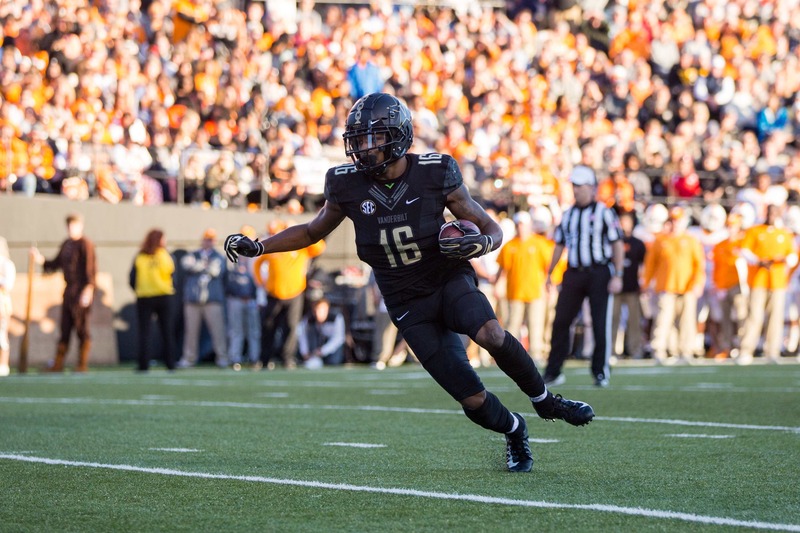 After an up and down season, the Vanderbilt Commodores earned their way into the Texas Bowl with two straight SEC wins over Ole Miss and Tennessee. Vanderbilt will face off against the Baylor Bears, who like Vanderbilt, went 6-6 on the season. Baylor went 4-5 in the Big 12 this season, losing all of their games against ranked teams and going winless on the road within conference. Baylor will be missing their top wide receiver Jalen Hurd, which will certainly impact their offense’s efficiency. Below are three matchups to watch out for in the bowl game. With Hurd out, Baylor’s junior Wide Receiver Denzel Mills figures to take a larger role in the offense. As the second weapon in the passing attack, Mills had eight touchdowns this season and is a two-year starter. He’ll likely be matched up with Vanderbilt’s top cornerback, Joejuan Williams. Williams has flashed NFL potential throughout this season, as he has four interceptions and ten pass breakups. This will likely be a physical matchup throughout the game, as bothMills and Williams are 6’3 and weigh over 200 pounds. In what could be his final game in a Commodore uniform, Williams could stifle the Baylor Bears passing attack if he takes Mills out of the game. With all of the close games that Vanderbilt lost this season, it is hard not to imagine what those games would have looked like had Ke’Shawn Vaughn been featured earlier in the season like he has been recently. Despite his consistent production throughout the season,Vaughn did not become the bellcow back until the final four games, in which he had as many carries as he did in the first eight combined. It is no coincidence that Vanderbilt went 3-1 in those contests. Clay Johnston is the Baylor Bears middle linebacker and leading tackler with 95 tackles on the season, 31 more tackles than any other Baylor player. We’ll see if Johnston can lead the Bears’ defense in stopping Vaughn, but if Vaughn’s body of work across the season is any indication, the Bears will come up short. Lipscomb enters the Texas Bowl as Vanderbilt’s leading catcher and has an outside shot at a 1,000 yard season if he puts on a show in Houston. While Lipscomb does not boast top notch speed, his hand strength and toughness have allowed him to reel in difficult catches all season, especially in the red zone. Derrek Thomas, a graduate transfer who played previously at Temple, is Baylor’s most experienced cornerback. Thomas stands at a lanky 6’3, meaning that he will pose a challenging matchup for Lipscomb, who has relied more on size than speed this season to get open. In his final game catching passes from quarterback Kyle Shurmur, Lipscomb can become the first Vanderbilt receiver to eclipse 1,000 yards since Jordan Matthews in 2013 with just with 114 yards. Not a big deal but Baylor’s WRs name is Denzel Mims not Denzel Mills.